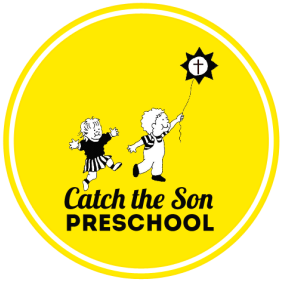 Catch the Son is a COOPERATIVE school that depends on the efforts and participation of parents. Families who enroll their children here, do so because they want to be actively involved in the classroom and with the school as a whole. I will participate in the classroom as a “Parent-Helper” the required number of days, for my child's class. I will help with ONE Family Event during the school year: Back to School Picnic, Eggstravaganza, Jr. Ski to Sea Parade or Pre-K Graduation. Participate in Fundraising. We do fundraising events throughout the year to supplement our budget as tuition does not cover all school expenses. There is no minimum fundraising requirement but we do expect all families to support our fundraising efforts. I will participate in the End of Year Clean or Playground Work Party. When I bring my child to school, I will sign-in my child, have my child wash his/her hands before starting class, and will leave a number that I can be reached at during the day in case of emergency. I will sign-out my child upon pick-up. I will keep my child home from school if he/she exhibits signs of a cold, flu or other communicable disease. I will read and abide by the Parent Handbook. I will take responsibility for keeping myself informed of classroom and school-wide activities by: Reading school communication emails, Checking my Parent Pocket, Checking the school website, Reading teacher bulletin boards, attending Parent Meetings held 3-4 times/year. I agree to have a valid driver’s license and carry liability insurance on any vehicle used for transporting children on field trips. I agree to submit to a Background Check as required by the insurance policy held by CTS Lutheran Church. I understand that anyone who represents me as a classroom helper will need to be background checked before they can fill in. I agree to have my child up-to-date on immunizations before he/she starts school. I will fill out forms with medical history, emergency information, and field trip permission before my child starts class. With this Registration form, I have included a non-refundable registration fee of $75.00 ($50.00 for 2nd child being registered) payable to Catch the Son (CTS). Refunds will be given only due to lack of space or cancellation of class. I agree to pay last month’s tuition before my child starts school (due in August). I also agree to pay monthly tuition for my child’s class by the 10th of each month. Total yearly tuition is divided by nine months, and there are no adjustments made for holidays, sickness or other absences.